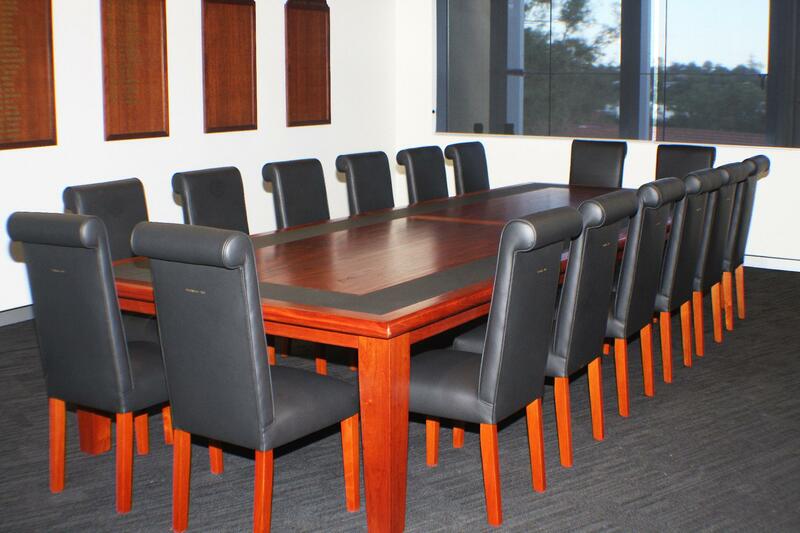 Red Cedar Boardroom table and 16 chairs. 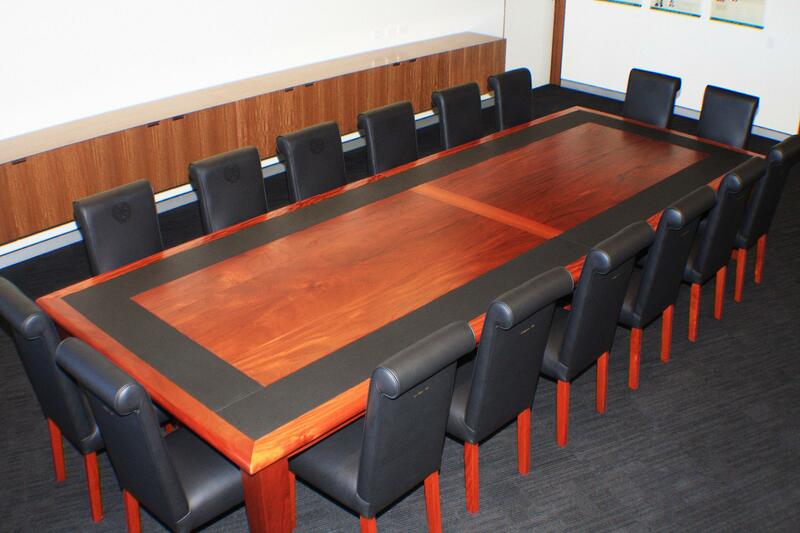 The table is 4.5 meters long x 1.6 metrers wide with a full grain leather writing inlay around the perimeter. 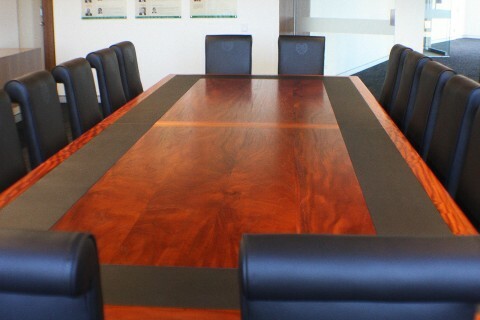 The chairs are also cedar and full grain leather with a crest embossed on the face and an individual name and date embossed on the back of each one.